The Town of Nags Head will begin their beach re-nourishment project in May 2019. The project is expected to last possibly into October 2019. Not every home in Nags Head and South Nags Head will be impacted. Those that are impacted will only be directly affected for a few days before the project work progresses to another area. Read more here. 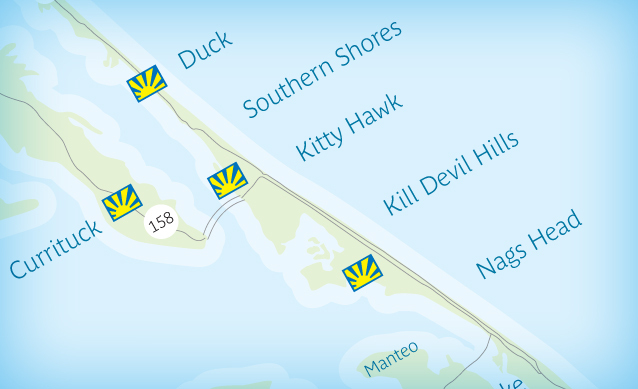 Our properties span the entire OBX coast including Carova, Corolla, Duck, Southern Shores, Kitty Hawk, Kill Devil Hills, Nags Head, and South Nags Head. On Hatteras Island, we proudly offer beach cottages in Rodanthe, Waves, Salvo, Avon, Buxton, Frisco, and Hatteras Village. 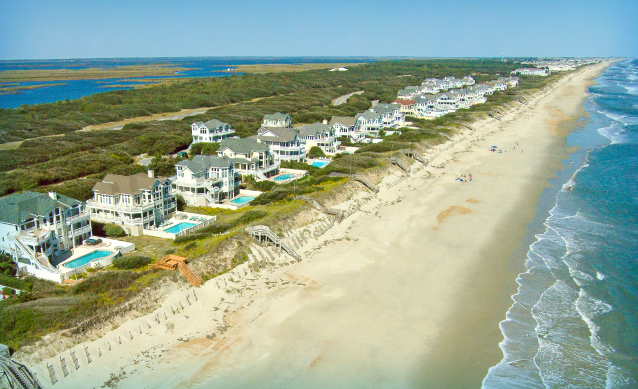 Sign up here to receive our 2019 Vacation Guide and start planning your next OBX vacation! 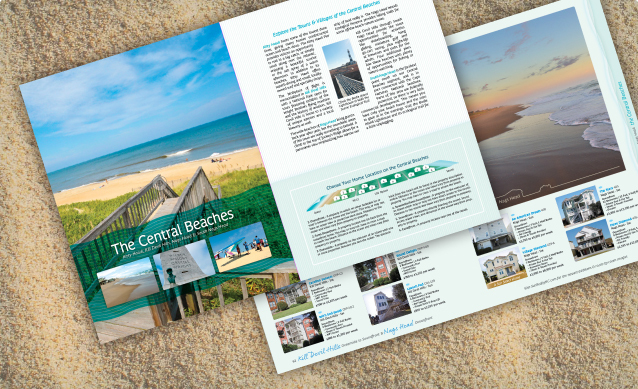 This guide includes overviews of Outer Banks towns and villages, vacation extras to make your stay even better, information on travel insurance and pet-friendly stays, plus all of our available 2019 vacation rental homes, and so much more!